Advances in technology and a post-September 11 emphasis on homeland security have fueled a demand for a new breed of law enforcement professional who is equipped to meet the changes in national security. Job growth in law enforcement is expected to be about 4.5% in the decade from 2014 to 2024. Several rewarding law enforcement careers are particularly in demand in today’s security-conscious society. The demand for police officers remains high, but experts in more specialized fields are in demand as well. Police officers work in partnership with the public to reduce crime and enforce federal, state, and local laws. 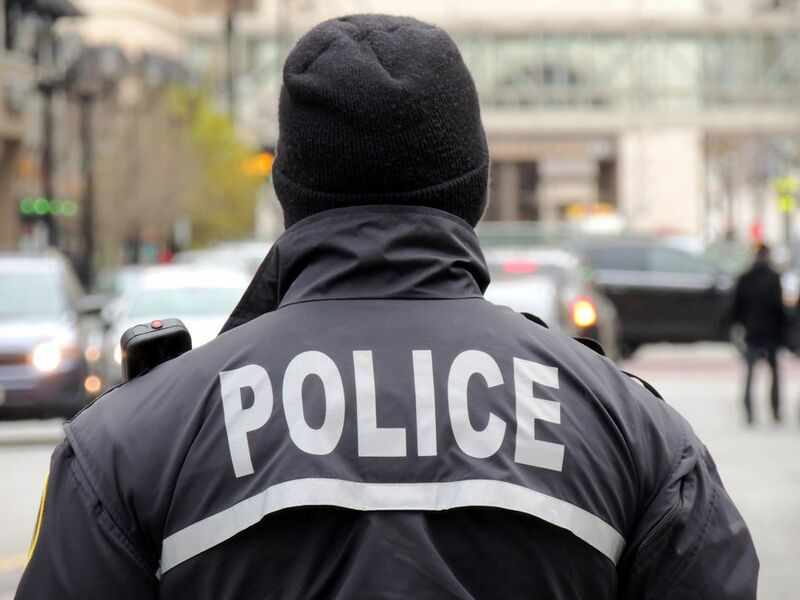 Increased crime and a more security-conscious society are contributing to the rising demand for police services, according to the U.S. Department of Labor. Generous salaries and benefits are attracting more people to the profession. Individuals with college training in police science, military police experience, or both, have the best opportunities. This work opens doors for advancement to detective and investigator positions. State troopers, also called highway patrol officers or state police officers, enforce motor vehicle laws and regulations on the nation’s highways. Skilled state troopers are in high demand due to a growing shortage in many states, including Oklahoma, Louisiana, Nevada, Georgia, and North Carolina. Increasing numbers of retiring troopers, state budget cuts, and rising educational standards are a few of the reasons for the shortage. Forensic scientists use cutting-edge scientific techniques to preserve and examine evidence and to develop investigative leads in connection with civil and criminal proceedings. FBI agents use intelligence to protect the nation from threats and to bring to justice those who violate the law. With about 35,000 individuals already on its payroll, the FBI reports a critical need to hire new Special Agents and support personnel to carry out the FBI's mission. Special Agents must have at least a bachelor's degree, and an advanced degree is preferred. Support personnel includes intelligence analysts, language specialists, scientists, and information technology specialists. U.S. Marshals are the nation's primary fugitive hunting organization. They capture more federal fugitives each year than all other national law enforcement agencies combined, according to the United States Marshal Service. Deputy U.S. Marshals are charged with some of the most unique and exciting duties found in law enforcement. As a nationwide agency, the Marshals Service seeks qualified men and women capable of carrying out a broad range of law enforcement and administrative responsibilities. Customs agents work for U.S. Customs and Border Protection (CBP), an agency of the United States Department of Homeland Security. The CBP's priority mission is preventing terrorists and terrorist weapons from entering the United States. Customs agents are also charged with facilitating international trade, collecting import duties, and enforcing U.S. trade laws. The CBP employs more than 45,600 employees to manage, control, and protect the nation’s borders as of 2017. The CBP actively recruits for a number of openings in many locations around the country. You'll need a bachelor's degree and at least one year of graduate school in a law enforcement program to qualify at the GS-7 level, and if you have your master's degree, that's even better. Founded in 1865, the United States Secret Service is one of the most elite law enforcement organizations in the world. It's also one of the oldest federal law enforcement agencies in the country. The Secret Service has dual missions of protection and investigation. It protects the president, vice president, heads of state, and other VIPs, and it investigates financial and securities-related violations of the law. The Secret Service seeks “highly qualified men and women from diverse backgrounds,” and it often holds job fairs and employment testing at locations across the country. Fish and game wardens are wildlife law enforcement agents who enforce fishing, hunting, and boating laws. They patrol hunting and fishing areas, conduct search and rescue operations, participate in undercover operations, report on the condition of fish and wildlife in a specific area, supervise the activities of seasonal workers, investigate complaints and accidents, and aid in prosecuting court cases. Wardens employed by the federal government are known as special wildlife agents. New jobs are being created in this field through attrition and retirement and an increase in parks and green space which require wildlife management.